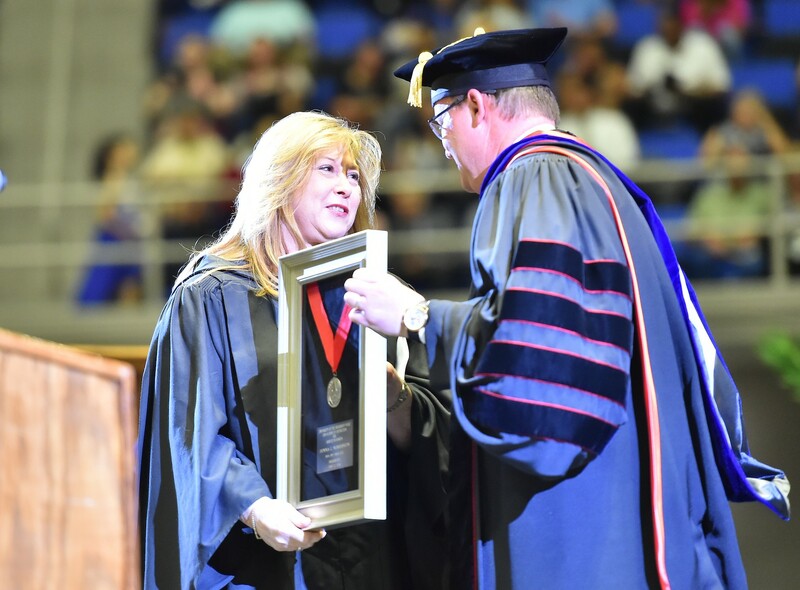 The Alumni of Disti nction Award is the highest award presented by UIW to an alumna/us. We recognize two of our graduates a year in the categories of Professional Achievement and/or Service in Mission. Honorees are selected based on their professional accomplishments, service to others, and Christian living. One award will be presented at the May commencement and the other at the December ceremony. The Awards Committee of the UIW Alumni Association Board shall present candidates to the full Board for recommendation. The recommendation is sent to the President of the University of the Incarnate Word for final approval. Nominees for Professional Achievement should reflect significant accomplishments in a particular profession, recognition for scholarly or artistic contributions, honors, awards, length of service, etc. Nominees for Service in Mission should reflect accomplishments in service to the civic community, church, family or volunteer activities. Alumni may receive the honor only once, but previous nominees will be considered. Nominations will be kept on file for two years, nominations can be resubmitted for consideration. The form for nominations can be found here. To view our previous Alumni of Distinction click HERE.